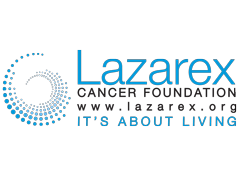 At Lazarex Cancer Foundation we improve the outcome of cancer care, giving hope, dignity and life to advanced stage cancer patients and the medically underserved by providing assistance with cost for FDA clinical trial participation, identification of clinical trial options, community outreach and education. Many corporations offer employee giving programs where they match donations. If you volunteer with us, your company may also offer a volunteer grant program.